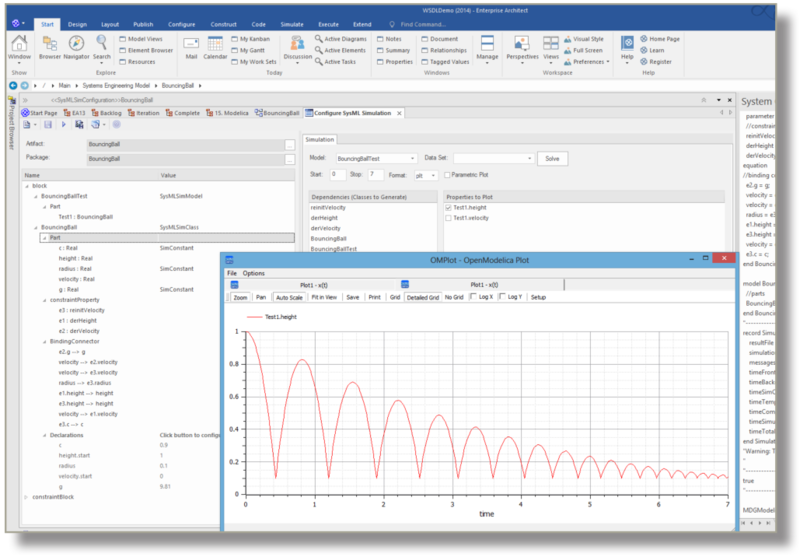 OpenModelica can interpret complex mathematical results from your SysML model by producing compelling, detailed graphs to compare and contrast simulation results. 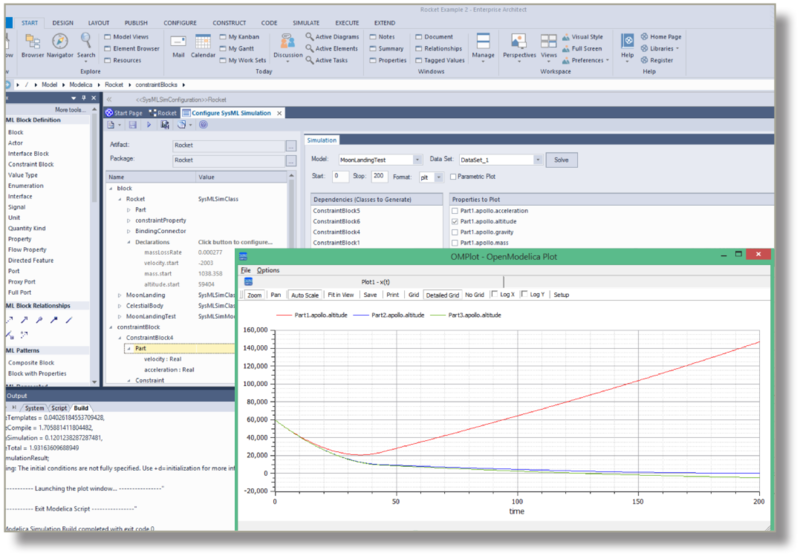 Interpret a range of factors from graphs: gravity; height; object mass; and other integral system attributes that may not be apparent from the underlying SysML model. Bring the power of mathematical analysis into the heart of Enterprise Architect. 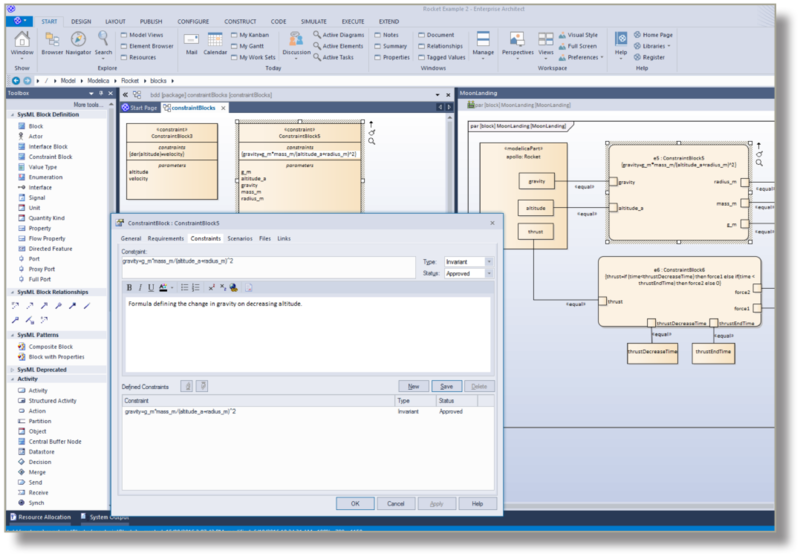 Annotate your existing SysML model, specify default values, define test models and specify the parameters that are applicable when the simulation is run. 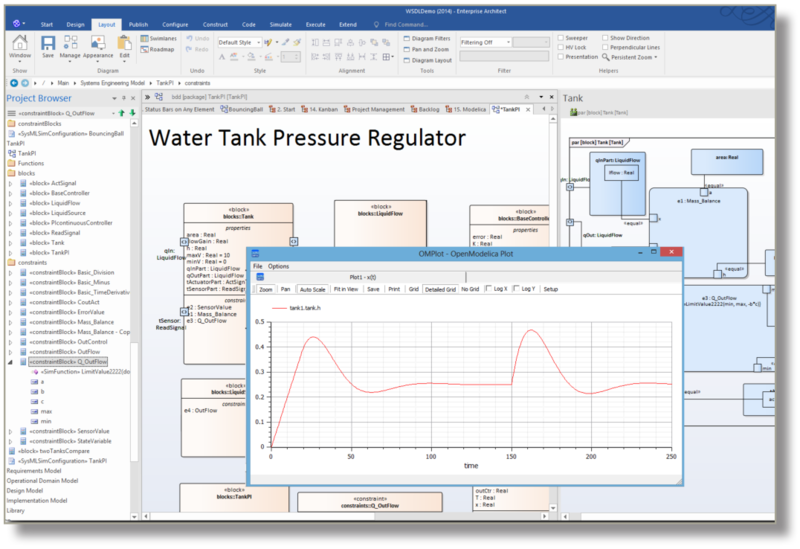 Produce rich, detailed simulations and precise graphical representations of mathematical formulae without leaving Enterprise Architect.